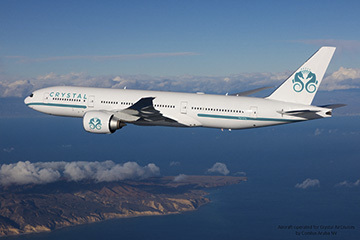 LOS ANGELES, CA: On August 1, Crystal welcomed the newest member of its expanding fleet, the Boeing 777-200LR Crystal Skye. The plane, operated for Crystal AirCruises by Comlux Aruba NV, was delivered to Crystal’s CEO and president, Edie Rodriguez from Greenpoint Technologies. Crystal Skye is the largest privately owned tour jet in the world and is deployed for chartered service. It has a non-stop range of 19.5 hours. The plane has already been chartered for an inaugural 10 Day/9 Night “Golden Week Holiday AirCruise” starting from Hong Kong on September 29. The charter will be managed by Genting Hong Kong, Crystal’s parent company. 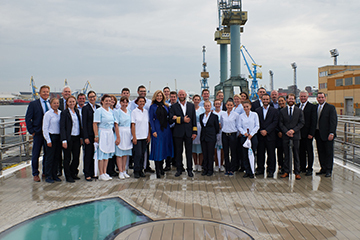 Back on the water, Crystal River Cruises welcomed Crystal Bach on August 3. The luxury river ship, the first of four “Rhine Class” ships set to sail the rivers of Europe, was delivered to Crystal by MV Werften during the official handover ceremony in Wismar, Germany. Sailing itineraries between Amsterdam and Frankfurt, and Amsterdam and Basel, Crystal Bach will travel along the Rhine and Moselle rivers. Crystal says its Rhine Class river ships are the river industry’s first and only all-balcony, all-suite vessels in Europe. 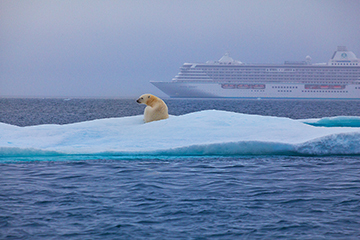 In 2016, Crystal Serenity was the world’s first luxury cruise liner to sail from the Pacific to the Atlantic Ocean via the Canadian Northwest Passage. The vessel will make a second transit this year, commencing August 15, this time with more adventure options. Among the new experiences are Arctic scuba diving, three nights on the northernmost tip of Canada/Ellesmere/Greenland, chartered aircraft to the Hamlet of Gjoa Haven located on the southeast coast of King William Island, visit to Iglooplik located north of the Arctic Circle and home to a vibrant artistic community and fly fishing for Arctic Char on the Ekaluk River. Rodriguez was awarded top honors from Ernst & Young during its annual Entrepreneur of the Year Florida Awards earlier this year. Since taking the helm of Crystal in 2013, Rodriguez has led the company through an exponential brand and fleet expansion. The newest and upcoming extensions of the Crystal brand include Crystal Yacht Expedition Cruises, Crystal Luxury Air, Crystal River Cruises and Crystal AirCruises. 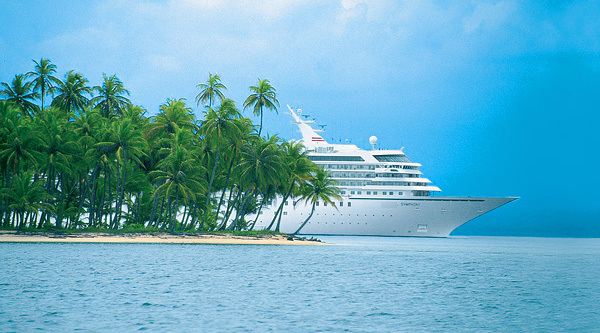 The group’s fleet include Crystal Esprit (62 guests); Crystal Mozart(154 guests) and the upcoming quadruplet sister river yachts, Crystal Bach, Crystal Mahler, Crystal Debussy and Crystal Ravel (106 guests each); ocean ships Crystal Symphony (970 guests) and Crystal Serenity (1,070 guests); and Crystal Luxury Air’s Bombardier Global Express Jet (up to 12 guests). Crystal will debut at least one new vessel per year by 2022.